The devil has entered our country, and his footprints are everywhere. Nine-year-old Jallal is old enough to know that his life in Algeria is precarious at best. Having run away from home, he survives by selling peanuts and single cigarettes on the street. The proposal by the elderly Swiss woman named Anna is shocking and preposterous: go to the mountains with her, as a translator, so she can find her lost lover from decades ago and pray over the graves of their murdered children. Anna and Jallal's journey is wrought with danger and unspeakable tragedy. It was under similar circumstances that Anna first met the Arab Nasreddine. Ousted from the traveling circus where she performed as a trapeze artist, she had little choice but to accept Nasreddine's dangerous offer to live with him in a makeshift tent. But it was here, amid poverty, racism, and terrifyingly random violence, that they fell in love. 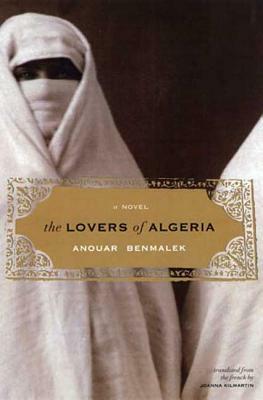 A best seller in France, The Lovers of Algeria is an unflinchingly candid story about a country where terrorism and government corruption are commonplace. As Anna and Nasreddine, beaten by time and memory, circle each other in Algeria, Anouar Benmalek shows with heart-wrenching detail that love can endure even the most inhuman conditions. Anouar Benmalek was born in Casablanca in 1956 and now lives in France. After the 1988 riots in Algeria in protest of government policies, he became one of the founders of the Algerian Committee Against Torture.